Do Pet and Rental Restrictions apply to me if they change? There seems to be some confusion these days with regard to who bylaw changes apply to. There are many instances where a current owner is “Grandfathered” from a bylaw. In Real Estate two of the most prevalent bylaw changes that can affect a buyer or seller are Pet Restrictions and Rental Restrictions. Let’s start with Pet Restrictions as they are bit more straight forward than the Rental Restrictions. If you are an original owner can you have as many pets as you wish for as long as you own the property? No. All owners are subject to whatever Pet Restrictions are passed by the strata. There is however an exemptions. 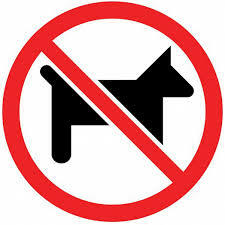 A bylaw prohibiting or restricting pets does not apply to a pet living with an owner, tenant or occupant at the time when the bylaw is passed. In other words, your five dogs could remain with you for the duration of their lives but any new pets must adhere to the Pet Restriction passed by strata. Rental Restrictions are a bit more complicated although similarly a tenant who is occupying a suite at a time of a bylaw changes is exempt for the duration of their tenancy. It should be noted that any bylaw which limits the number or percentage of rentals must also set out the procedure to be followed in administering the bylaw. In other words each strata may have a slightly different system for handling the application of a rental wait list and such. It should be noted that there are several other loopholes to consider.